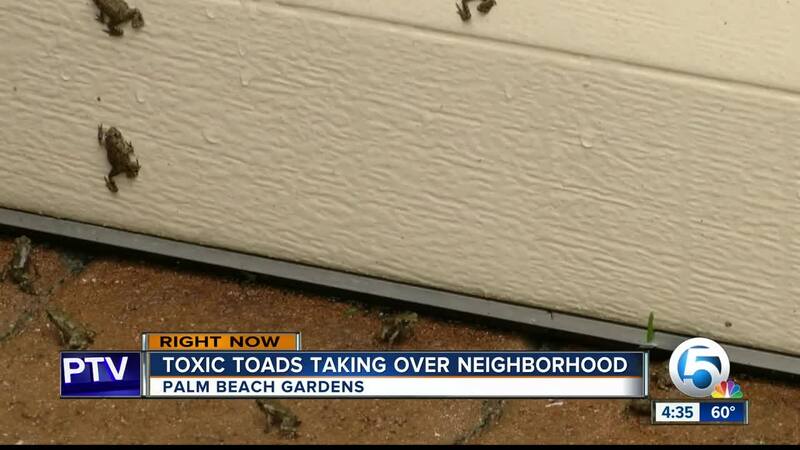 PALM BEACH GARDENS, Fla. — Thousands of poisonous toads are swarming a Palm Beach Gardens community, and it's leaving neighbors concerned. 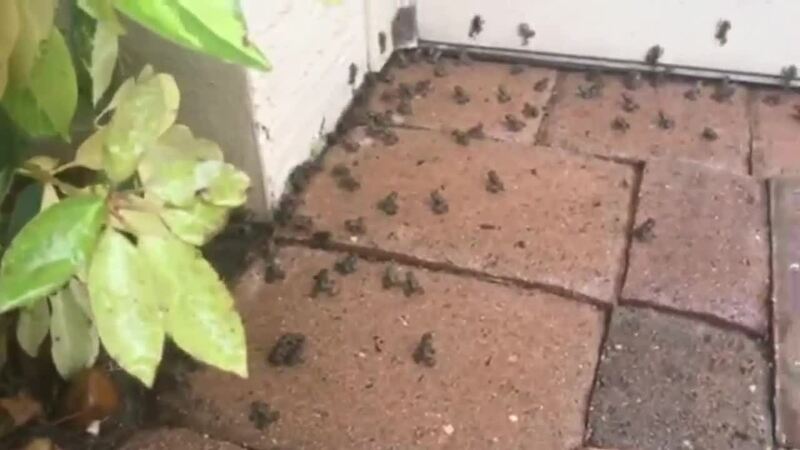 Jennie Quasha, who lives in the Mirabella neighborhood, sent WPTV photos showing hundreds upon hundreds of amphibians clogging people's pools, patios, and even spread out all over the street. "I just see a massive amount of toads or frogs everywhere, covering every square inch," said Quasha. "You can't even walk through the grass without stepping on one." Neighbors said they have no idea why the sudden outbreak happened, but it started about a week ago. 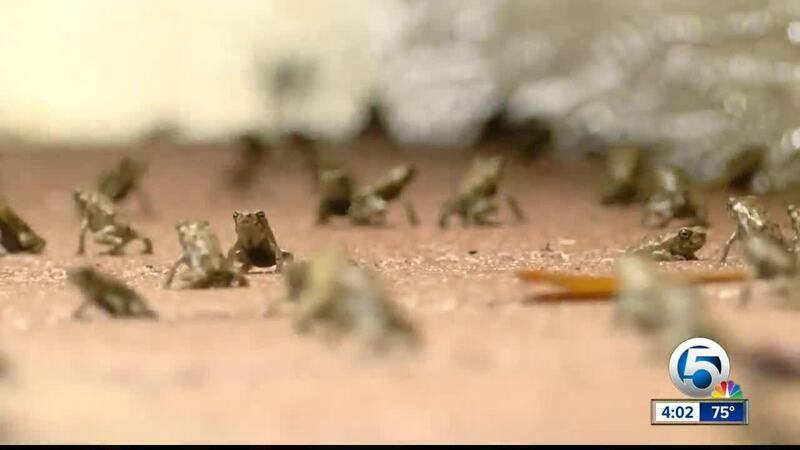 Quasha said she contacted her community's homeowner's association, which told her these are poisonous bufo toads, which can pose a dangerous and deadly threat to pets and children, according to experts. 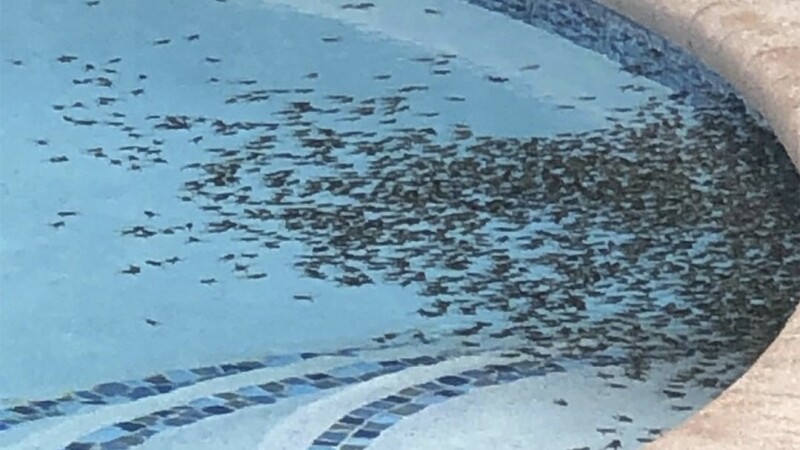 "I'm worried about people's pets, so there's definitely no swimming in the pool or playing outside and enjoying the outdoors," said Quasha. 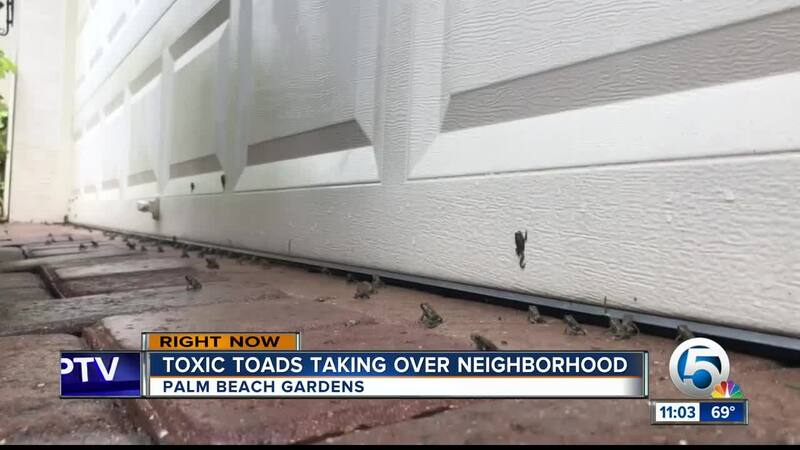 WPTV spoke to Toad Busters, a poisonous toad removal service in South Florida, which confirmed these are bufo/cane toads. "With the warmer winter and then we had a rain two to three weeks ago, a torrential rain, that caused them to go into a breeding cycle," said Mark Holladay, a lead technician with Toad Busters. "They’re not safe for pets or children. If a pet was to ingest too many of them, even at that small size, it would cause a problem." "There will be another influx like this in 22 days when the next batch hatches out, and this is in every community in Florida," said Holladay. 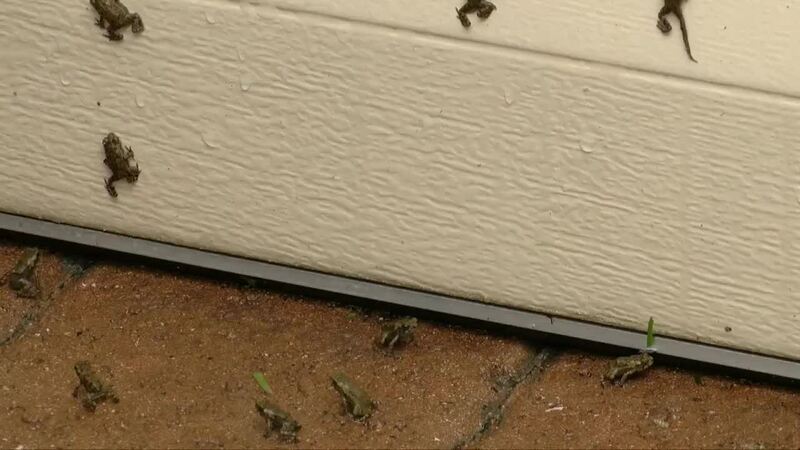 Quasha said her HOA told her it's the responsibility of homeowners to remove the toads. "I would like someone to come out who can really identify the species and talk to the neighbors and see what's going on," said Quasha. "I want some type of solid answer and hopefully a solution, and if it's just nature and they go away, that would be wonderful too."